All links below open in this same browser window. Use your browser's [BACK] button to return to this page. The Archivist has chosen the link targets for many of the references used within the original article. In-line comments by The Archivist will be bracketed in [bolded italics like this]. Stacked in Yury Filipchenko's bookcases are maps charting the vast deposits of uranium ore he discovered here 40 years ago that fueled the Soviet Union's transformation into a nuclear superpower. The geologist's crammed bookcases also hold another legacy: thick reports that plot radioactive pollution zones, heavy-metal deposits and acid rain. Filipchenko's village, Oktyabrskoye, is today a ramshackle collection of wooden huts and potholed roads surrounded by mine shafts and dilapidated uranium-processing facilities barely two kilometers, or 1.2 miles, away. Once it was a prestigious place. Built in 1964 as the first outpost in the Soviet government's drive for uranium on Russian soil, the village spawned a town, Krasnokamensk, about 20 kilometers away and a uranium mine that became, for a time, the biggest in the world. Now the village, located in eastern Siberia just 60 kilometers from the border with China, lies neglected and poisoned by uranium dust and radioactive gases. "This is a man-made disaster area," Filipchenko said, unfurling a map showing radiation and pollution levels from a nearby power station and uranium enrichment plant. Uncovered mountains of discarded uranium ore dot the horizon, while just over the hill, a vast open crater marks the site of Russia's first uranium mine. It is not just an environmental disaster. Lack of investment also bodes ill for Russia's nuclear industry, experts say. The Krasnokamensk mine is the sole uranium producer of any significance on Russian land, producing enough ore to supply half the needs of its plants. Without investment, the supply of ore from the mine will end. "Krasnokamensk is of huge strategic importance," said Vladimir Chuprov, who heads the energy division at the Moscow office of Greenpeace and has closely investigated Russia's nuclear industry. "If it goes, then Russia loses 50 percent of its supply." The condition of Krasnokamensk is typical of Russia's transformation to capitalism. It is no small irony that Mikhail Khodor-kovsky, one of the most vilified of Russia's oligarchs, is serving his eight-year sentence in the Krasnokamensk prison camp. But it is not private business barons who have let the place go to seed. The Krasnokamensk mine and the plant that processes the ore into concentrated uranium ore, or yellowcake, are owned by a state nuclear agency, TVEL. "We could take measures to improve safety, but we just don't have the money," said an official from the Priargunsky combine, which runs the mine, the processing plant and other facilities. He spoke on condition of anonymity because he was not authorized by TVEL to speak to the press. Without investment to build a new mine, the combine at Krasnokamensk will run out of ore in 2012, the combine official said. Currently it produces 3,000 tons of uranium a year, almost half the amount needed to supply Russia's nuclear power stations, said the combine official and Maxim Shingaryov, who heads the information center for the Federal Atomic Energy Agency, or Rosatom. TVEL, with headquarters in Moscow, is run by Alexander Nyago, a former telecommunications executive from St. Petersburg who is reported to be close to President Vladimir Putin. It also owns other processing plants and sells fuel rods for nuclear power stations in Russia and abroad. In 2004, as world uranium prices climbed, the agency had an official profit of $164 million. With world yellowcake prices doubling over the past year to $33 per pound, profit is expected to be even larger in 2005. Officials at the Krasnokamensk combine, however, say most of their cash goes toward paying taxes and wages for the company's 12,500 workers. Officially, the average monthly wage is 10,000 rubles, or about $350, low for an industry where the health risks are high. Over all, Russia needs about 15,000 tons of uranium a year to run its power stations, fuel its nuclear submarines and meet its export agreements, according to researchers at the Natural Resource Ministry. What is not provided by the combine at Krasnokamensk partly comes from recycling fuel and uranium ore imports. Mainly, however, the shortfall is made up from uranium stockpiled during Soviet times. But these supplies are being sold so quickly that they could run out as early as 2010, according to a report by Natural Resources Ministry researchers that was presented in 2004 to an international conference on the nuclear industry, held in Tomsk. "Russia will be hit with a uranium crisis a lot earlier than 2020," said the report, a copy of which was obtained by The Moscow Times. "In the next seven to eight years it will turn from an exporter of natural uranium into an importer of it." For much of the past decade, uranium prices had been so low that it made no commercial sense to invest in the mining industry, said Shingaryov of Rosatom. As recently as 2000, world uranium prices were as low as $7 per pound. In written answers to e-mailed questions, Stanislav Golovinsky, a TVEL vice president, sidestepped the question of whether TVEL would raise the price it pays for yellowcake in line with world prices to allow wage increases at the plant. He said that TVEL did have a plan for constructing a new mine but gave no sense of urgency, estimating that the mines at Krasnokamensk have enough ore to last for 15 to 20 years. Back in Soviet times, governments threw rubles at the nuclear industry. Now, the state is besieged with problems that compete with the nuclear industry for cash. "The list is endless," said Gennady Pshakin, an expert on the nuclear industry. "Pensions, the military, the aircraft industry, the missile industry - they're all suffering." Whether or not funds are disbursed to keep Krasnokamensk's industry going, it has been left with a dangerous legacy that urgently needs attention, environmentalists and residents say. The last time a major environmental study was conducted was in the early 1990s. 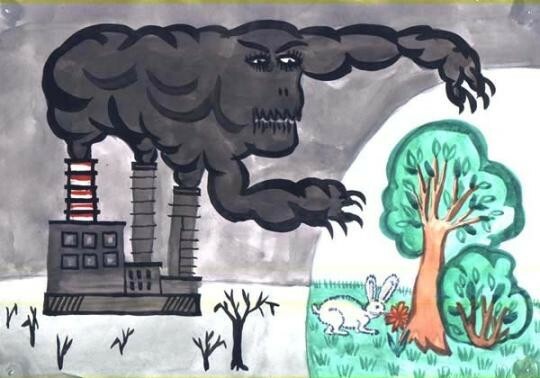 Filipchenko and other scientists, including a group of doctors from the state university in Irkutsk, spent months mapping levels of pollution from the mine, the plant and the nearby power station, which is fired with uranium-contaminated coal. After some of the results were smuggled to scientists in Sweden and shared with Greenpeace activists, who used the data as part of a widely publicized report in 1994 on the dangerous state of Krasnokamensk, scientific investigation was stopped. "No one has denied this data, but no one risks repeating the experiment," Filipchenko said. What Filipchenko and his colleagues found were dangerously high levels of radon gas emanating from the cellars of scores of houses in Oktyabrskoye, mounting levels of uranium dust and residues of heavy metals like mercury. "The entire village is in a zone of acid pollution," Filipchenko said. After the environmental studies reached the Greenpeace activists, federal officials in Moscow began spending money in the mid-1990s to resettle the residents. But since the 1998 financial crisis, there has not been enough money. Two hundred and forty families were resettled in Krasnokamensk; 680 families remain. Back in 1964, Oktyabrskoye was built as temporary housing for the first group of geologists who arrived here and discovered the deposits, which is why it was located so close to the mines. When more deposits were found under the village, the government decided to go ahead and mine anyway. As a result, radon gas seeps through cracks in the soil and into houses. In some houses, where owners dug underground cellars for storing produce, the levels measured were more than 10 times the norm, the 1994 study found; this was backed up by checks in 2001. Exposure to high doses of radon can cause lung cancer. Those who remain in the village have become so inured to their surroundings that they gather scraps of uranium ore from the heaps beside the mines to fill potholes in the village roads. "They just take it and sprinkle it outside their own homes," Filipchenko said. Gathered outside one of the run-down village shops, a group of residents said they had regularly tried to push their case for resettlement. "We live in the middle of an industrial zone," said Yekaterina Zimniyeva, a former mine worker who helped build the mines in the late 1960s. "No one should be living here." Zimniyeva had her young grandson, who, she said, constantly suffers from chest colds. "Here, we eat uranium, we drink uranium, we breathe uranium," she said. "Everyone's legs here hurt terribly. People suffer heart problems, and there isn't anything to breathe." Town doctors insist health problems, in the village and the town, are no worse than average. "Radiation levels are no higher than they are across the entire Siberian Federal District," said Viktor Turanov, a surgeon in the oncological wing of Regional Hospital No. 4. "And the level of cancer is no higher than the average across all of Russia." He blamed the villagers' woes on poverty and unhealthy lifestyles. "Their legs would hurt less if they stopped smoking and started drinking less," he said. But even those who live in the town believe their surroundings are unhealthy. One afternoon in a Krasnokamensk grocery store, two women whispered about coming medical checks for breast cancer with tears in their eyes. "Here, the graveyard is bigger than the town," one of them told this reporter. But town officials insist that the health risks of living and working here are minimal. "The population of the town is stable," said Krasnokamensk's mayor, German Kolov. There is little way of determining who is right because there are no conclusive studies available. Kolov recently ordered his health officials to produce a report detailing the causes of death in the Krasnokamensk region, but it is unclear when it would be ready and whether it would be public. The mayor said he hoped the attention that the town has received since Khodorkovsky arrived at the nearby prison camp would help win more government funding for the resettlement of the Oktyabrskoye villagers. Greenpeace's Chuprov, however, said he feared that the politically charged presence of the former oil tycoon could make it even harder to carry out environmental studies. "We need to know how much dust is in the area," he said, calling for an independent investigation. "But it's not clear if the authorities are ready to allow this, especially now. If anyone dares to do this, it is likely they'll find themselves in the cell next door to Khodorkovsky."